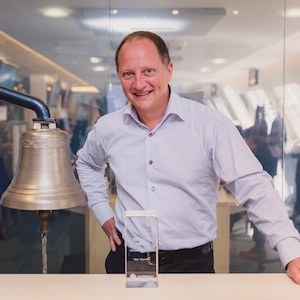 Before founding Reworld Media, Pascal was Chairman at Netbooster (2005, Paris Euronext, ALNBT), Director at Prosodie London (2002, now Cap Gemini) and earlier Chairman at CPI Venture (2000). He is also today Chairman at Tradedoubler (Stockholm, Nasdaq OMX) , co-Chairman at Network Finance and a board member of different companies (Nextedia, Makazi Group, Mobile Network Group, 50 Partners, Phenomen.com, Sporever…). Pascal is a MBA graduate from Paris IAE (Sorbonne graduate business school) and from EPITA (computer engineering).